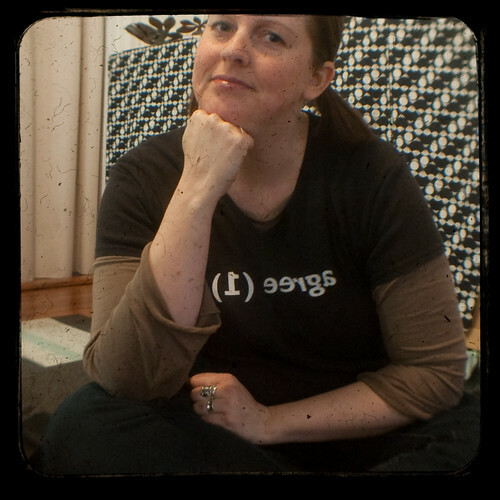 A few weeks ago, the ever clever and talented Ms Soto started posting her own TtV (as the cool kids call it) photos. Ever the bandwagon jumper, I quickly followed her lead and snagged myself a old camera to use. It's a really cheap and easy set up if you're looking to try it out. Kodak used to make the Duaflex series of film cameras where the viewfinder is a bubble-ish dome on the top of the camera. 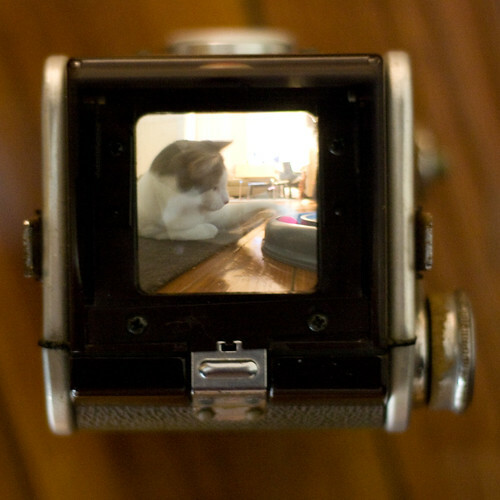 The basic TtV set up is to take a photo of the viewfinder of the Duaflex. 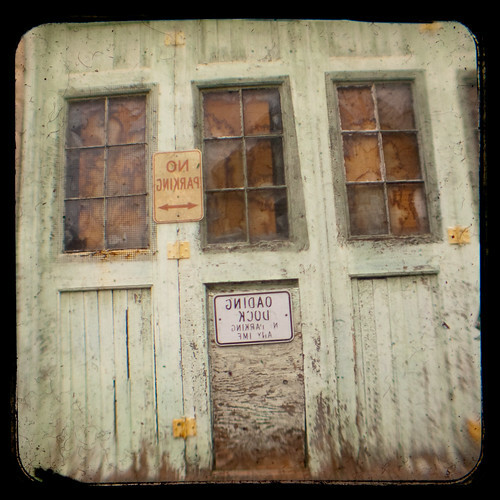 The beauty of the whole process is that the Duaflex doesn't even have to be a functioning camera. The dust that comes on the mirror only adds to the mood of the resulting photos. You can pick up and old one on Ebay for anywhere from $2 to $20. Once you get the Duaflex, you build what's called The Contraption. Basically it's a light blocking tube that you put between your digital camera (the top camera) and the Duaflex (the bottom camera.) You can find a ton of tutorials online on how to build one. The best place to start is the links in the main TtV flickr group page. I used the cardboard from a Ginger Ale fridge pack. After that, head outside (you'll need plenty of light) and snap away. A square crop and pinch of post-processing later and you have some funky photos! Totally fun to try and inexpensive to boot! thanks for this post and the links. 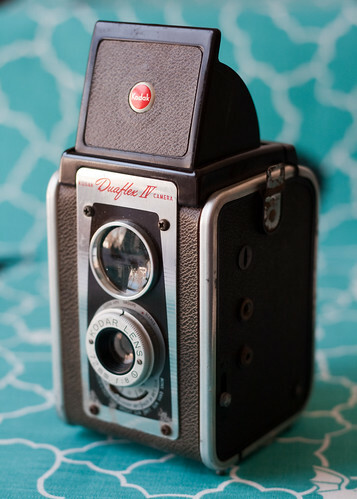 there's a duaflex being shipped to me right now. I love the artsy feel that the photos get from the way the viewfinder frames them. Neat! this looks like so much fun! i've been wanting to get one of my own for awhile, too. they're so inexpensive! i'm loving the shots you've taken with yours. Oh that is so cool. I might have to hitch a ride on that bandwagon shortly. So fab Caro! I have an old timey black and white polaroid that take similarly fun, nostalgic pics. Wow - you just sparked something in me that makes me want one too! 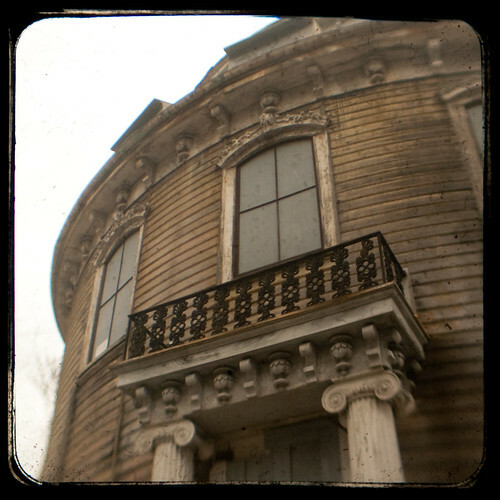 I love the old dusty lens too - so much character! that is SO awesome! I saw that idea on the photojojo newsletter (if you aren't a subscriber, you would LOVE IT!) i really want to try that! can't wait to get my box bags! YEA!!! thank you! now i must go on a quest to find an old camera! ps - your pictures look great! Love the TTV! Let' go for another walk soon. Ohh that's a gorgeous camera! oh cool!! I have got to try that!! I have one of those cameras just waiting for me to try. That is so cool! I've never heard of doing this before but now I'm keeping my eye out for an old camera :) Thanks for posting! damnit! had to have one the minute I read this post. scored one from ebay for $6.99. This looks like so much fun.